In celebration of the recent 35th anniversary of Thriller and the accompanying MJ101 eBook, Jamon and Q have returning guests Andy Healy and Chris Lacy back on the show for an in-depth, track-by-track discussion of the album for the first special episode of Season Four. 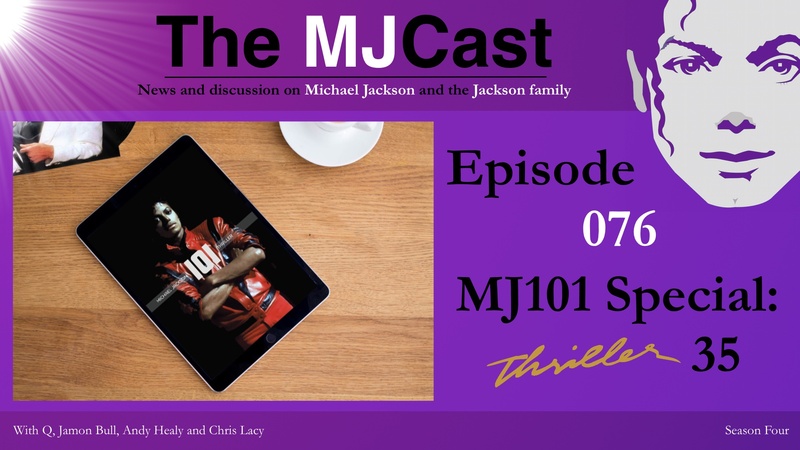 Andy, creator of the free MJ101 eBook series, and Chris, a long-time fan, dancer and Albumism contributor, share their insights and stories alongside Jamon and Q as they take a deep dive into the world of Michael Jackson’s Thriller. Thriller remains the world’s best-selling album and has inspired more than three decades worth of iconic dance moves and fashion. Through this discussion of each track, the guys get to the heart of how Thriller changed pop culture, and the world. Footage of Michael Jackson singing background vocals on Donna Summer’s ‘State of Independence’ along with Lionel Richie, Dionne Warwick, Stevie Wonder and others. 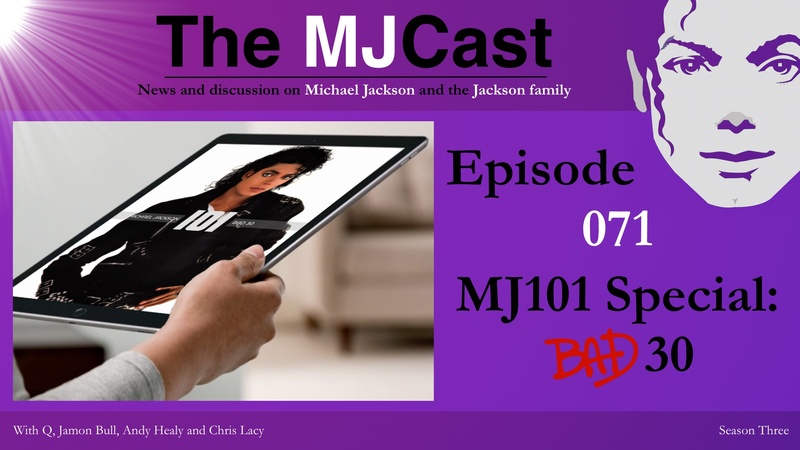 Creator of the free MJ101 eBook series Andy Healy has released his new book, Bad 30, and what a great opportunity for us to explore both the book and the album for our second last episode of Season Three of The MJCast. Joining returning guest Andy is a new voice for listeners, Chris Lacy. Chris is a lifelong Michael Jackson supporter in more ways than one. His fiery passion for music and dance came from studying Jackson’s artistry while he was growing up on Navy bases. Chris eventually became a dance instructor while learning from Stephen “tWitch” Boss and Allison Holker of So You Think You Can Dance? fame. His appreciation for Michael Jackson expanded beyond the music when he started battling vitiligo at the age of twelve, a skin condition Jackson also endured. Fortunately, his strong Christian faith has not only helped him with his own struggles but has also inspired him to mentor youth who wrestle with various self-esteem issues. Chris is also a Contributing Writer for Albumism with heartfelt tributes for Bad (1987) and Dangerous (1991) under his belt, among others. Andy, Chris, Jamon and Q explore and discuss the tracks on Michael’s critically and commercially acclaimed late 80’s masterpiece Bad. 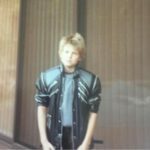 As Andy was lucky enough to see Michael live through witnessing The Bad World Tour in person, we also get to hear his account of this incredible concert, making us all slightly envious!